From Alpert Medical School, Brown University, Providence, RI. Opioid overdose hospitalizations among patients <65 years of age, by payer type (National Inpatient Sample, 1998 to 2013). MDB, Medicare-disability beneficiary. 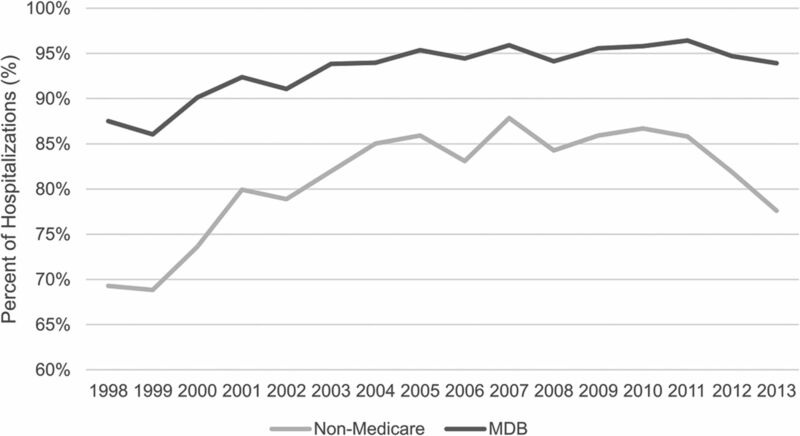 Opioid overdose hospitalizations: percentage of female patients among those <65 years of age, by payer type (National Inpatient Sample, 1998 to 2013). MDB, Medicare-disability beneficiary. 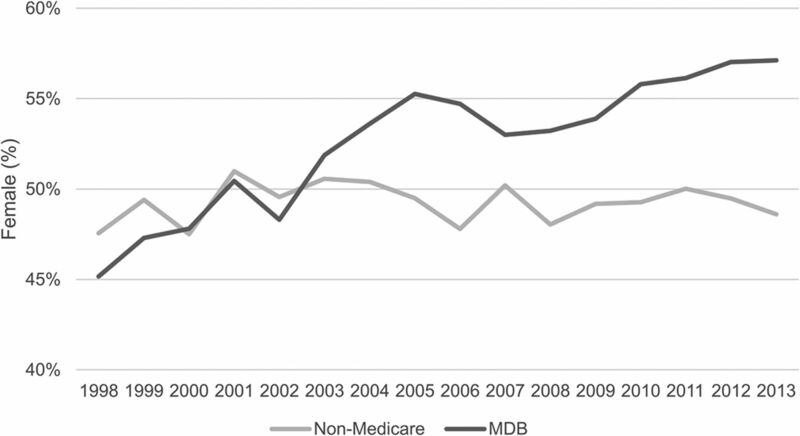 Opioid overdose hospitalizations: patient age among medicare-disability beneficiary (MDBs) (National Inpatient Sample, 1998 to 2013). The 0 to 17 age-group constitutes a very small proportion of the overall population and may not, therefore, be visible graphically. 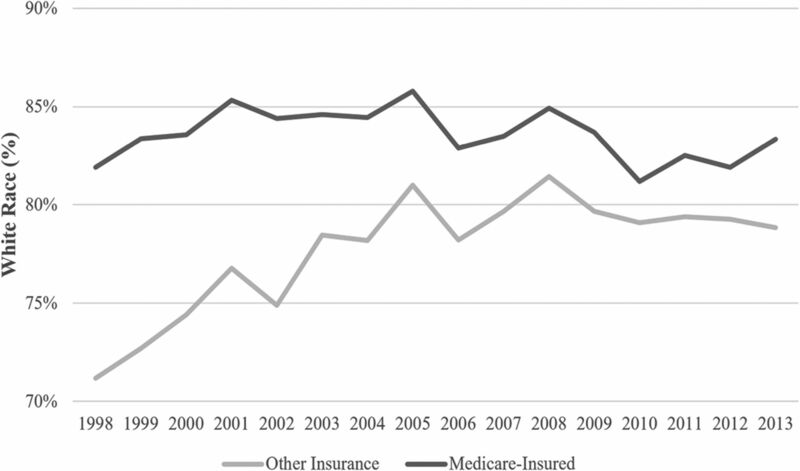 Non-heroin opioid overdose (NHOD): percentage among those <65 years of age, by payer type (National Inpatient Sample, 1998 to 2013). 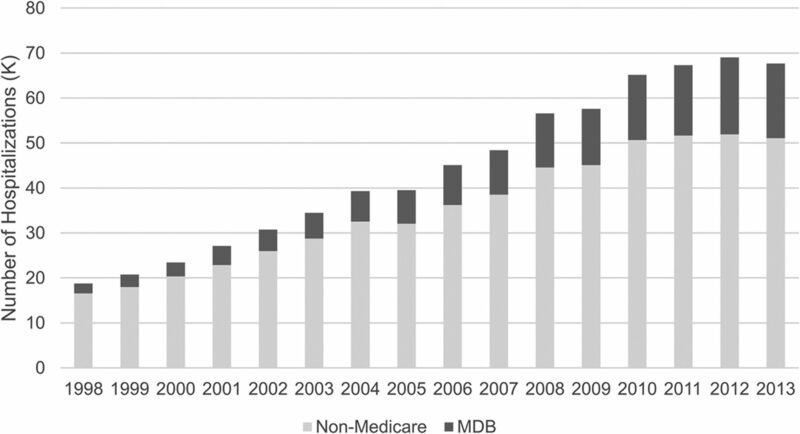 MDB, Medicare-disability beneficiary. 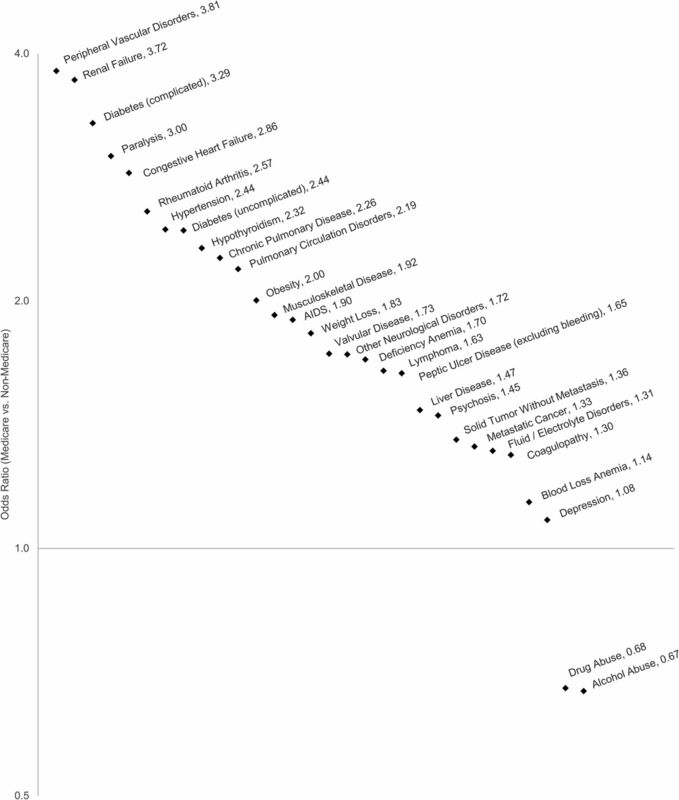 Odds ratios for comorbidities among those <65 years of age, by payer type (National Inpatient Sample, 1998 to 2013). 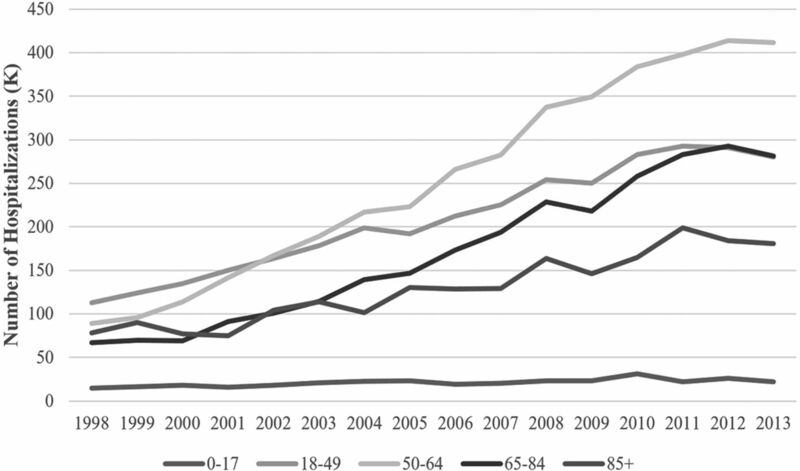 Incidence of Opioid Overdose Hospitalization by Age. Opioid Overdose Hospitalizations: Percentage of White Patients Among Those <65 years of Age, by Payer Type.